I’ve received more good news recently- my work was selected for inclusion in the 54th Annual Exhibition of Contemporary Art at the VACI (Visual Arts at Chautauqua Institution). 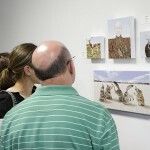 The juror for the exhibit is Jim Kempner of the Jim Kempner Gallery in New York City. My painting “Renewal” from my New Realm series was selected and it is an acrylic on canvas, 48″ wide by 24″ high. The exhibition will take place in the Strohl Art Center of the Visual Arts at Chautauqua Institution in Chautauqua, New York. There will be an opening reception held on Sunday, June 26th from 3-5pm. 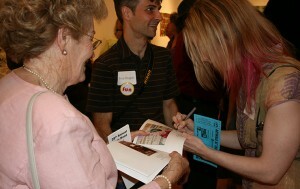 The exhibit will remain on display through July 14, 2011. To view more of my work, visit my website at www.AmyGuidry.com. 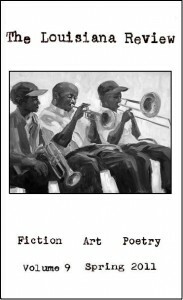 I recently received a request to publish some of my work from my “New Realm” series in the LSUE journal, The Louisiana Review. I’m excited to announce that the issue is out and features “The Red Dress” and “Dreaming.” Both of which are in private collections, but it’s nice to have an opportunity to still feature them in print. The Louisiana Review is published by the Division of Liberal Arts, Louisiana State University at Eunice. It features art, poetry, and literature predominantly from Louisiana and Southern artists. Look for my work in the Spring 2011 edition, Volume 9, available online now. So excited- I came across some good news just after it was announced (apparently I was on the web at the right time…). I have been selected as one of the artists to be featured in the Brooklyn Art Project’s BAP Quarterly #1. This is their first full-color publication and will be out this summer. Featured on the left is one of my paintings to be included- “Symbiotic.” “The Wild West” has been selected as well, so my excitement is doubled. 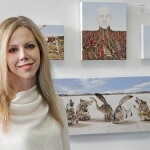 The publication was guest-curated by Samantha Levin (Anagnorisis Fine Arts, Curator for White Rabbit, NYC). 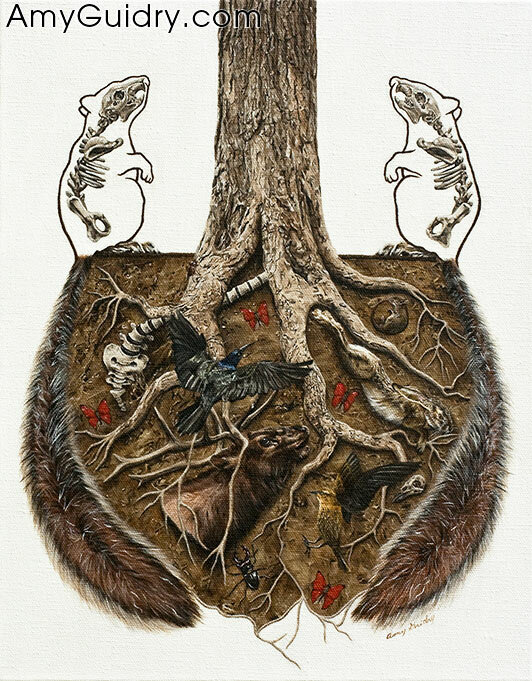 100 artists have been selected, including some of my personal faves- Carrie Ann Baade and Caitlin Hackett. For more information and a list of the 100 artists to be featured, visit http://blog.brooklynartproject.com/2011/05/100-artists-selected-for-brooklyn-art-project-quarterly-1/. And to view more of my own work, visit my website at www.AmyGuidry.com. My latest piece is now finished and online! I had some back problems to slow me down a bit, but managed to pull through. This is the most recent addition to my “In Our Veins” series. It is a 12″ x 12″ painting, acrylic on canvas, titled “Heads II.” It is related to a previous painting- “Untitled (Heads).” I recently discussed this one and wanted to share my thoughts behind it. 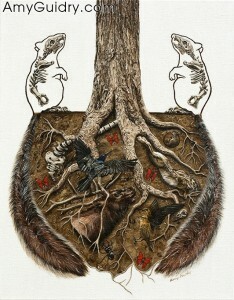 The concept behind this piece, as with several of my paintings, is that of humans viewing nature as a means to an end. We view animals as pieces and parts- head, tongue, rump, rear, breast, wing, etc. If they are not referred to as parts, they are named something other than what they are- chickens are poultry, pigs are pork, cows are beef, etc. They are no longer acknowledged as animals, but as food. Others are treated as trophies to hang on a wall, or turned into “luxury items” to wear or carry things in. I see animals as sentient beings- living, breathing, thinking, with offspring of their own to care for. While humans typically treat their fellow members of the animal kingdom as a means to an end, I depict them with personalities, or what others arrogantly deem as “human” qualities (as if only humans can express emotions). For instance, many of the animals I paint have eyes that appear “human,” in that you see the whites of the eyes, or they have lighter colored eyes and not large, dark doe eyes as typically associated with animals. Some animals are positioned in a dominant stance or their facial expression is calm and serene- again, qualities typically associated with only humans. 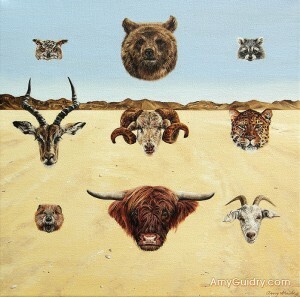 In this painting, the animals are confident and staring directly at the viewer, demanding attention and acknowledgement.